The Google knowledge graph was first introduced around 2012 by Google. This was a way to enhance related search information on any given search query. Google has an extensive collection of related search queries that come after a given search. So such as, I search for the statue of liberty, I might then change my question to say “State of Liberty Reviews” so I can see what others think. All of this information was then processed and put into the knowledge graph to make it more convenient for searchers. So the question is how do I add a google knowledge graph for my business to enhance my listings on Google? 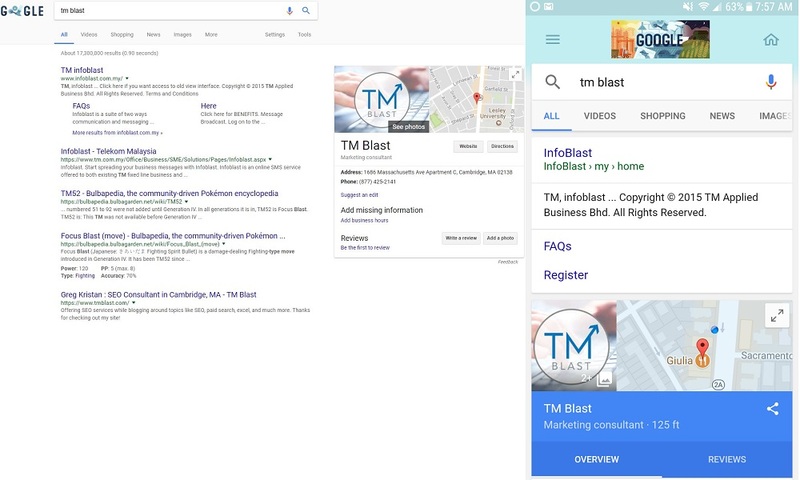 The answer is to use Google my Business, but let’s first look at what this looks like so we can see the benefit of having this. 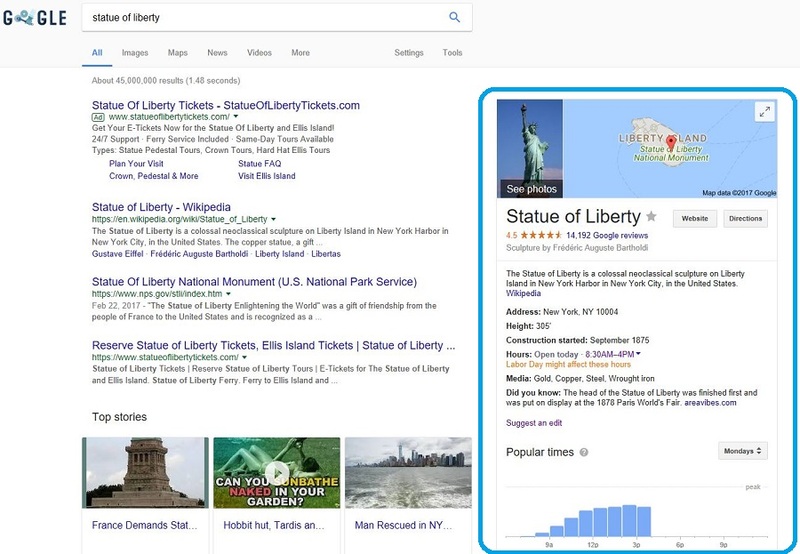 For example, searching for a company like “Statue of Liberty” would deliver a quick blurb from Wikipedia, user ratings from Google, address, a map location, hours, and so much more. Notice how all of this information is displayed on the right of my query? This gives any users now more ways to interact with this search, or even refine their query to expand upon this topic. It’s a free way to list your business listing (or place interest) for Google to crawl and index the information with their search engine bot. You give the news like the business scene, the business hours, the phone number, pictures of your listing, and any other information you would like to offer. When you give all of this information, Google will send a verification code via real mail so they know it’s the right site and it’s proven that you do business there. Once you get the verification code from Google, you put in the numbers so you can verify that your place is correct and Google will then take a few days to show the information properly. Where Will I See the Knowledge Graphs? Once everything is verified, you will see the knowledge on desktop, tablet, and mobile devices via a web search and also a map search. Here is an example below that shows what this looks like on a typical web search using my companies’ name. How to Get the Wikipedia Blurb? The example from the statue of liberty had a little Wikipedia article underneath it. That’s because Wikipedia is one of the largest websites used in the world, so Google likes to take information from there and give a brief explanation as to what this is about. You have to create a Wikipedia page for your business so you can get this information then connected to the graph. Wiki How had a good article that explains how to do this. 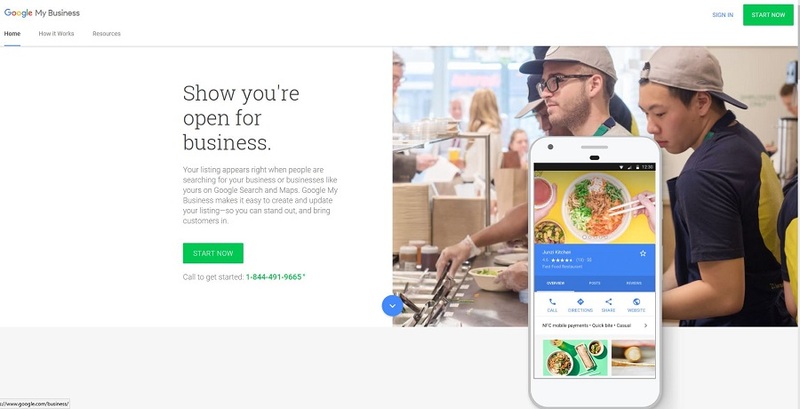 Google my Business will cover Google, but you will need to add your listings on all other areas on the web like Yelp, Facebook, Bing, Yahoo, Yellow Pages, and more. This can be a manual process if you have a lot of locations, or you might just not have the time to change all of your information manually. One solution to this problem is Yext. Yext has partnerships with hundreds of more places on the web that will allow them to help you manage your business locations. This is a great solution, and it is pretty affordable for most businesses. You can even add custom tracking to your Yext listings so you can measure how many clicks your website got from their listings, so you can measure how effective their strategy is. One issue with Yext though is that the moment you stop paying, you will lose all of that work, so it’s worth trying to add your business info on the main places like Google and seeing how that process is going for your business.